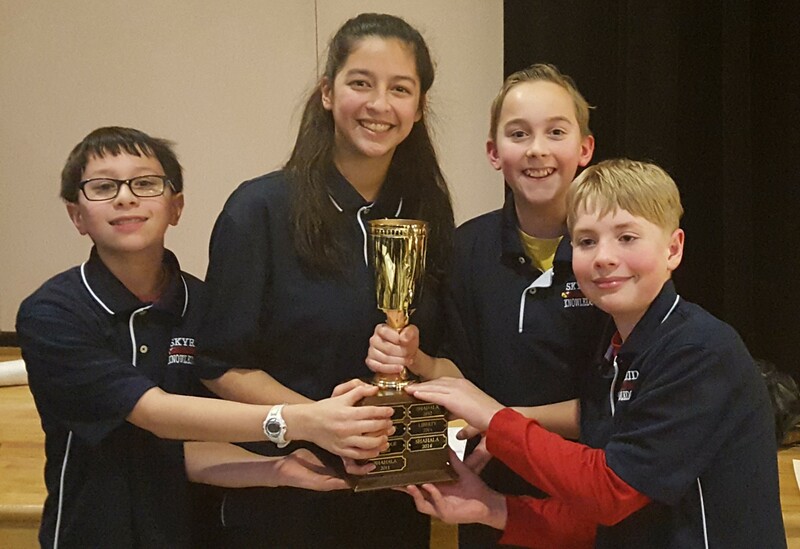 The Skyridge kids did us proud this year at the District Tourney held on 03/15/16 at Shahala Middle School. Our varsity 1 team, made up of Odessa, Jordan, Alex, and Thomas, won it all! It was a super close match in the end where we just barely edged out Wy’east and Shahala, but we had enough gas in the tank to finish and win. In the JV “international” tournament, Justine’s team also took home top honors. An awesome night for Skyridge! I’m proud of all the hard work that each player did this year to learn how to work effectively with their teams and have some fun. Bravo!